Asian shares fell as a relief rally petered out amid rising doubts over whether China and the United States will be able to resolve trade differences. An inverted U.S. yield curve also raised concerns about a possible recession. 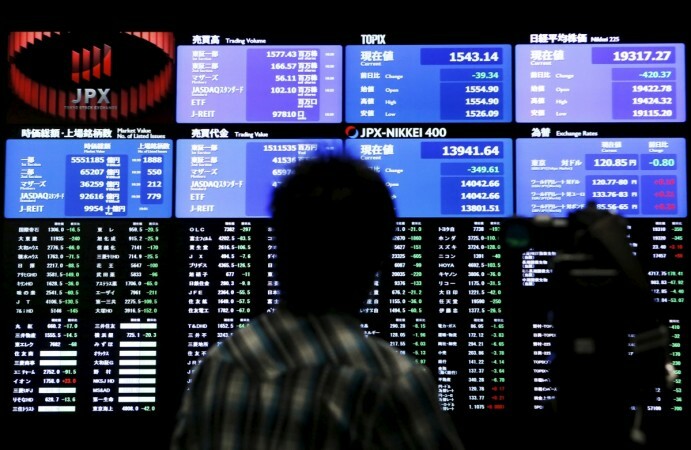 Indian shares fell on Tuesday tracking weaker sentiment across Asia, as domestic investors remained cautious ahead of election results for some states next week. The result of elections in the states of Madhya Pradesh and Mizoram, among others, are expected to set the tone for the national elections scheduled in May 2019. "Our markets are underperforming, awaiting (state) election results next week. Other parameters like crude price and trade war concerns have turned positive," said Neeraj Dewan, director, Quantum Securities. The Reserve Bank of India (RBI) policy cannot be hawkish in the inflation scenario and crude scenario, he added, referring to the monetary policy meeting on Wednesday. A Reuters poll of 70 economists predicted the RBI would hold its repo rate at 6.50 percent. The broader NSE Nifty was down 0.30 percent at 10,850.90 as of 0534 GMT, while the benchmark BSE Sensex was 0.42 percent lower at 36,088.50. Market heavyweights HDFC Bank and Housing Development Finance Corp were among the top percentage losers on the index, with shares falling 1.5 percent and 3 percent each, respectively. Financial stocks dropped, with the Nifty Bank index down 0.6 percent. Still, a weaker rupee boosted IT and pharma stocks. Shares of Infosys Ltd rose over 2.5 percent. Sun Pharmaceutical Industries Ltd's stock recovered marginally after its management issued a clarification on various brokerage and media reports.